In conjunction with the holy month of Ramadan, McDonald's Malaysia and Ronald McDonald House Charities (RMHC) returns with it's annual buka puasa event for underprivileged children. And this year, the event is BIGGER AND BETTER, in collaboration with Majlis Agama Islam Selangor (MAIS), Lembaga Zakat Selangor (LZS) and Yayasan Islam Darul Ehsan (YIDE), that saw more than 500 children and those less fortunate from 12 different children homes across Selangor taking part in the festivities. Also each special home had received RM 10,000, while every child received RM 20, making it a total of almost RM 130,000, presented during the buka puasa event. “As we sit down and enjoy our meals, we must remember those less fortunate than us. Whatever little we have to offer, make sure we share it so the joy is doubled or even tripled, like it is today." said Azmir Jaafar, McDonald's Malaysia Managing Director and Local Operating Partner. 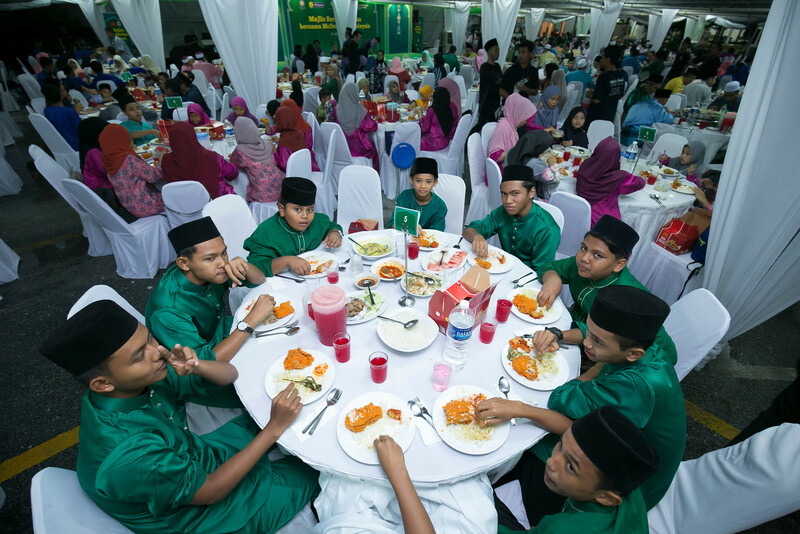 During the buka puasa event, McDonald's had prepared a generous spread of local buka puasa delicacies, and not to mention the McDonald's latest Ramadan menu item too - Nasi McD ! The Nasi McD offers aromatic rice cooked to perfection and served with special sambal plus a choice of either hard-boiled egg, a piece of the famous crispy Ayam Goreng McD or even both. As in previous years, McDonald’s Malaysia joined in the festivities and goodwill during Ramadan with annual activities such as moreh sponsorship at surau or mosques within the vicinity of its restaurants, moreh sponsorship at 26 selected institutes of higher learning, as well as providing dates and bottled water to LRT commuters rushing home to break fast. So if you fancy for some rice and Ayam Goreng McD during this Ramadan, get the new and limited time only Nasi McD at your nearest McDonalds ! And with every purchase of the Nasi McD, customers can add-on a medium Iced Lemon Tea at a special price too, completing the meal for buka puasa.